“Praying always with all prayer and supplication in the Spirit, and watching thereunto with all perseverance and supplication for all saints; And for me, that utterance may be given unto me, that I may open my mouth boldly, to make known the mystery of the gospel, For which I am an ambassador in bonds: that therein I may speak boldly, as I ought to speak” (Ephesians 6:18-20). Prayer is an essential part of our spiritual armor. It is a covering protection, and it is an assault weapon that goes against the enemy’s territory. Believers who want to walk in spiritual revival, blessing, power, and fruit must make much of prayer. There must be a daily “prayer closet.” There must be a daily walk in continual prayer. There must be prayer partners. There must be corporate prayer, and the more the better. One of the reasons why America is so vile and the churches are so weak and powerless and ineffectual at the community and national level is the gross lack of prayer. I attended a mid-week prayer meeting recently at an independent Baptist church that is all too typical. It consisted of about four minutes of silent prayer closed by a brother who prayed for about 30 seconds. That, plus the prayers at the beginning and end of the services and the prayers before the preaching, forms pretty much the sum total of that church’s corporate prayer effort. A few churches are doing a little better. A few have short prayer meetings before the services for the members who will attend. Some have a more serious mid-week prayer meeting in which the members break up into twos and threes to spend some time in intercessory prayer. The problem is that such prayer meetings are usually not well attended and the prayer time is rushed. It used to be common for churches to have a series of “cottage prayer meetings” preceding Bible conferences and “revivals,” but that type of thing is exceedingly rare today. Too many churches are trusting the power of the speaker rather than beseeching the power of God. 1. We must pray always. This means to pray throughout the day. It means to walk in communion with God and talk to Him about everything. 2. We must pray in the Spirit. This does not refer to shouting, shaking, falling, or laughing. It does not refer to “tongues speaking.” It means to be under the Spirit’s control, to seek His wisdom (1 John 2:27), to follow His guidance, to not grieve Him by sin and stubbornness (Eph. 4:30). 4. We must pray with watching. This refers to watching over the saints in intercessory prayer. It is an assault on the enemy and his territory. It is spiritual warfare, which is why intercessory prayer is often difficult, and we are tempted to stop engaging in it. 5. We must pray perseveringly, without growing faint and quitting. This is one of the most important principles of effectual prayer (Lk. 18:1-5). 7. We must seek prayer partners (Eph. 6:19). 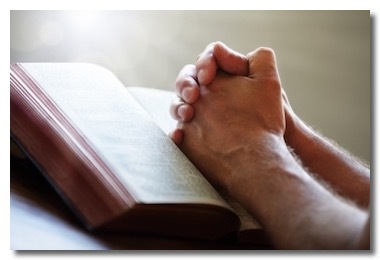 Paul frequently asked for prayer, and he specified exactly what he needed. See also Rom. 15:30-32; Phil. 1:19; Col. 4:3-4; 1 Th. 5:25; 2 Th. 3:1; Phm. 22; Heb. 13:18-19.